Join us this summer for the launch of ABC Television’s exciting new reality series profiling the biggest karaoke competition in America, Karaoke World Championships USA. ABC will bring you the amazing story of a competition that draws thousands of the most talented singers together in the ultimate sing-off. It’s a battle of performances that will crown a new king and queen of karaoke. ABC is searching for karaoke gold. Does your talent rival Taylor Swift, Kelly Clarkson, or Clay Aiken? To begin the journey, singers have to qualify at local competitions. We’re still signing up to host these qualifying events. The best singers will advance to state and regional competitions. 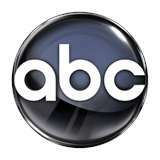 ABC will tape the four regional competitions in June to be broadcast at the beginning of August through early September. The top competitors will advance to the national level with the possibility of a live broadcast of the finals from Las Vegas. KWCUSA is part of the Karaoke World Championships of Heinola, Finland and is the exclusive USA partner to KWC. More than 20 countries participate each year and KWCUSA has participated consecutively since 2007. KWCUSA sent their winners to Thailand in 2007, Finland (2008), Finland (2009), Russia (2010), and this year to Killarney, Ireland. Venues and Karaoke hosts (KJs) provide the starting point for singers to qualify for this chance to be part of the new ABC reality series. Across the country venues and KJs sign up to host the competitions and hold local qualifying rounds until the end of April. State championships are held in May. There are limited opportunities to qualify as a state hosts. All state championship venues must have the ability to handle up to 60 singers over a 2 day event and must be willing to cover hotel and transportation (airfare) costs for their top male and top female to the regional championship. ABC will qualify the regional venues based on the requirements for the show. Time is limited. All local qualifications must be completed by April 30th. State championships for all fifty states will be completed by the end of May. Then the regionals begin and the taping of the new reality series starts. Singers, Venues, and Karaoke Hosts can sing up and obtain more information at http://www.kwcusa.net or call 866-610-7464 ext 900.